IPL 2019 MI vs DC squad analysis | Which team is in better shape going into IPL 2019? 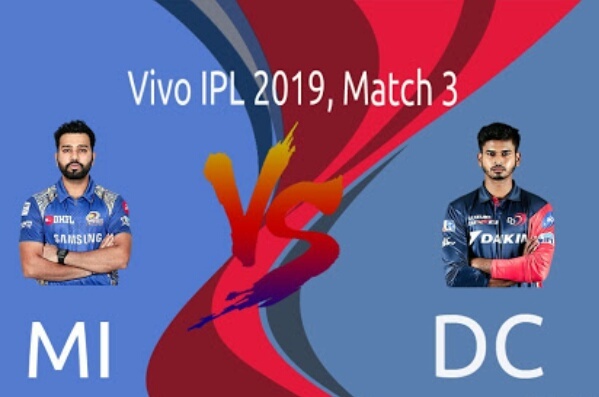 The third match of the tournament will be played between Mumbai Indians and Delhi Capitals (formerly Delhi Daredevils) at Wankhede Stadium Mumbai on March 24, 2019, at 8 PM IST. In IPL 2018, MI finished at the fifth position while DC finished last in the table. Last year, when these teams met each other in the group stages, DC won both the matches. Both teams have met each other 22 times in IPL and both teams have managed to win 11 matches each. MI have won the title three times, while DC have failed to the trophy win even once. Rohit Sharma is the captain of MI with Mahela Jayawardene being the head coach. Their batting and bowling coaches are Robin Singh and Shane Bond respectively. On the other hand, Shreyas Iyer will lead the Delhi based franchise and their coach is Ricky Ponting. On that note, let us have a look at the key player for each team and their probable playing XI. Mumbai Indians: Rohit Sharma(C), Jasprit Bumrah, Hardik Pandya, Krunal Pandya, Kieron Pollard, Evin Lewis, Suryakumar Yadav, Siddhesh Lad, Mayank Markande, Anukul Sudhakar Roy, Jason Behrendorff, Rahul Chahar, Ben Cutting, Aditya Tare, Ishan Kishan, Rasikh Salam, Anmolpreet Singh, Yuvraj Singh, Barinder Sran, Lasith Malinga, Adam Milne, Mitchell McClenaghan, Pankaj Jaiswal, Quinton de Kock. Delhi Capitals: Shreyas Iyer(C), Shikhar Dhawan, Prithvi Shaw, Colin Ingram, Manjot Kalra, Jalaj Saxena, Sherfane Rutherford, Hanuma Vihari, Colin Munro, Ishant Sharma, Nathu Singh, Trent Boult, Sandeep Lamichhane, Kagiso Rabada, Amit Mishra, Avesh Khan, Harshal Patel, Rahul Tewatia, Jayant Yadav, Bandaru Ayyappa, Keemo Paul, Axar Patel, Chris Morris, Ankush Bains, Rishabh Pant. Hardik Pandya has been away from cricket for a while due to an injury. He had a good season last year with 18 wickets from 13 matches. He had also contributed 260 runs with the bat. He would be hoping to have a good run in this season ahead of the upcoming World Cup. Sandeep Lamichhane is one of the exciting spinners in modern days of cricket. In the last IPL season, he has played only 3 matches and picked 5 wickets. In the recently concluded edition of BBL and PSL, he picked up 11 wickets each. He would be hoping to continue his good form in this year’s IPL too. Mumbai Indians: Rohit Sharma, Quinton de Kock, Suryakumar Yadav/Ishan Kishan, Yuvraj Singh, Kieron Pollard, Hardik Pandya, Krunal Pandya, Ben Cutting, Mitchell McClenaghan, Jasprit Bumrah, Mayank Markande. Delhi Capitals: Shikhar Dhawan, Prithvi Shaw, Colin Munro/Sherfane Rutherford, Colin Ingram, Shreyas Iyer (c), Rishabh Pant (wk), Axar Patel, Harshal Patel, Ishant Sharma, Trent Boult, and Sandeep Lamichhane.